Chilliwack -APRIL 18 UPDATE – It wasn’t a Chiefs game nor an RBC Cup game that had hockey fans going to Prospera Centre on Wednesday night. It was for 29 candles along the centre ice circle. In remembrance of the victims and survivors of the Humboldt Broncos bus tragedy. Michael Veigh posted to Facebook and to FVN : It was a fantastic service. Thank you Chilliwack Chiefs. Teared up when the bagpipes started playing. ORIGINAL STORY – The BCHL Chilliwack Chiefs will hold a remembrance service for the victims of the Humboldt Broncos bus tragedy at Prospera Centre. This will take place at centre ice at 6:30PM Wednesday April 18. 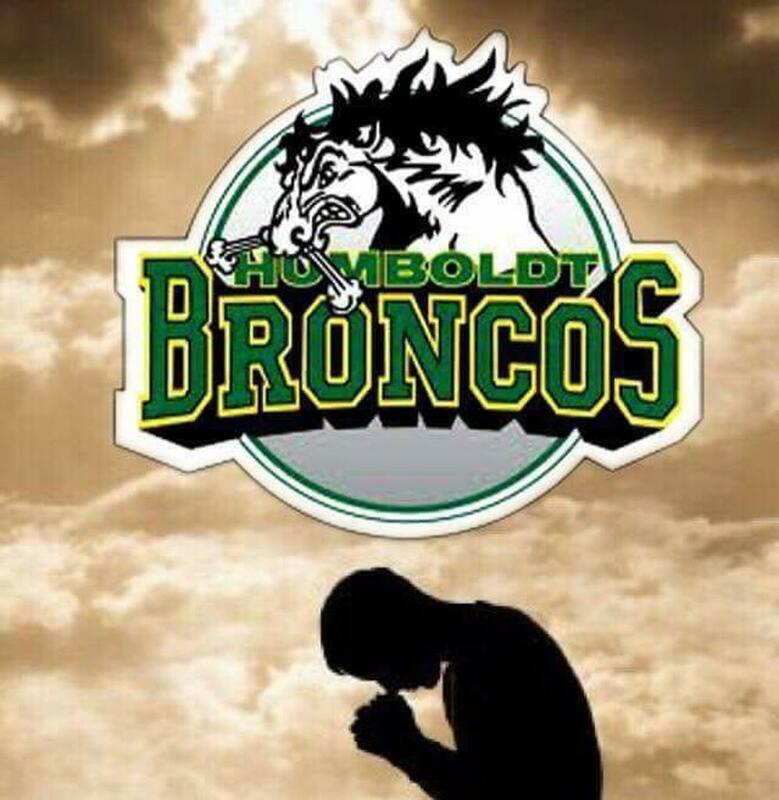 The Chilliwack community, including the City of Chilliwack, Chilliwack Chiefs Hockey Club, and Stó:lō Nation, express their deepest condolences to the families affected by the April 6, 2018 tragedy involving the Humboldt Broncos’ bus, and offer encouragement to those in hospital and all who are grieving. 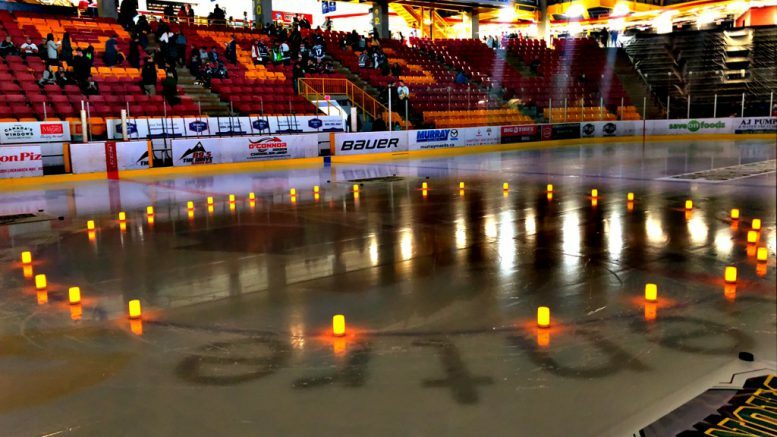 · As the Canadian junior hockey community is tight-knit, the loss of life in the April 6, 2018 tragedy has profoundly affected the players, coaches and staff of the Chilliwack Chiefs Hockey Club, like many across the country. 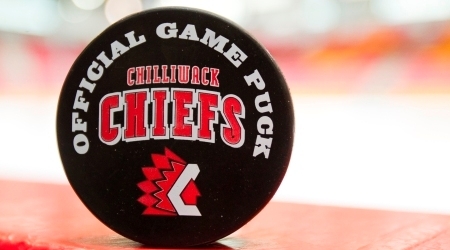 · The Chilliwack Chiefs Hockey Club is offering an opportunity for the general public to express their sympathies to the families involved and show support for the #HumboldtStrong movement. · Event attendees are encouraged to make a donation to the GoFundMe fundraising campaign should it be impressed upon their heart to do so; or, to donate blood at a local clinic or register as an organ donor. · As the Chilliwack Chiefs Hockey Club are a partner in hosting the 2018 RBC Cup, a national junior hockey championship for which the Humboldt Broncos were playing to qualify for, recognition of the Saskatchewan team will be included in the May 12-20, 2018 event. Details of how and when this recognition will take place is under discussion with Hockey Canada and the 2018 RBC Cup Host Committee and has yet to be determined. 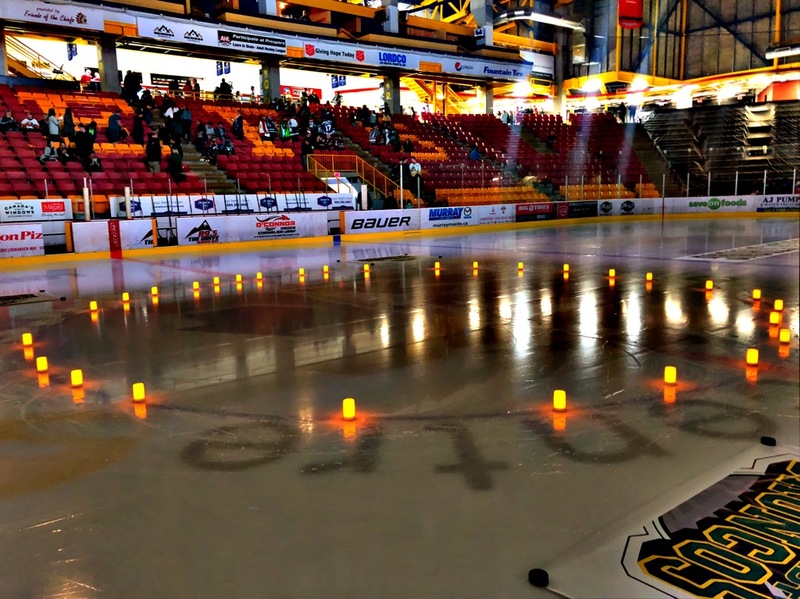 Be the first to comment on "Chilliwack Chiefs – Humboldt Remembrance Service (VIDEO)"